Great news from our friends at Funcom: Conan Exiles is their best and fastest selling game ever! Read on for the press release, and a new trailer to mark the occasion. Oslo, Norway – July5th, 2018 – Funcom announced today that Conan Exiles, the recently launched open world survival game, is now both the best-selling and fastest-selling game in the company’s history. Conan Exiles has now surpassed Funcom’s previous record-holder, the 2008 massively multiplayer game Age of Conan: Hyborian Adventures, which sold 1.4 million units by the time it went free-to-play three years after its initial release. Kicking off Early Access in January 2017 with full launch in May 2018, Conan Exiles broke this record in less than half that time. 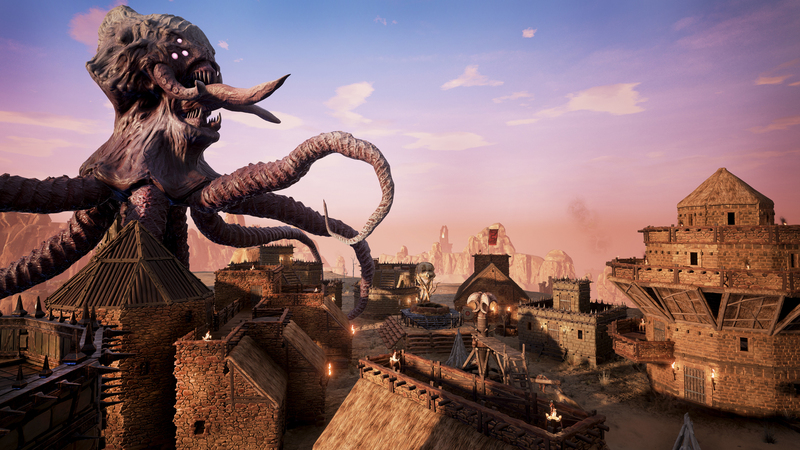 After the success of the first DLC, The Imperial East, Funcom is also excited to announce that Jewel of the West, the second DLC for Conan Exiles, will be launching in early August. The downloadable content introduces new Aquilonia-themed building pieces, weapons, armor, furniture, and more. In Conan lore, Aquilonia is the center of the civilized world and its clothing and architecture is inspired by that of the real-world Romans. For more information about this upcoming DLC, check out the official Conan Exiles blog. Conan Exiles is currently available for purchase in several territories worldwide, either digitally or in retail. On August 23rd Conan Exiles will also be released on PlayStation 4 in Japan by Spike Chunsoft and it will be available in both retail stores and digitally on the PlayStation 4 store.